Hello, happy Saturday to ya, and welcome to another great challenge from the Compendium of Curiosities Vol. III book by Tim Holtz. Are you playing along in these fun, fabulous creative challenges? To find out all the details, simply go to the end of my post today and it's all there for you. I hope you'll join us! Challenge #11 is Effect Powders which you can find on page 52 in the book. I'm just getting rolling on my Halloween crafts this year, so I thought I'd see what I could come up with for some treat buckets for my daughter and her friends. Very particular teenagers are hard to please, but I'm thinking they might just like these. 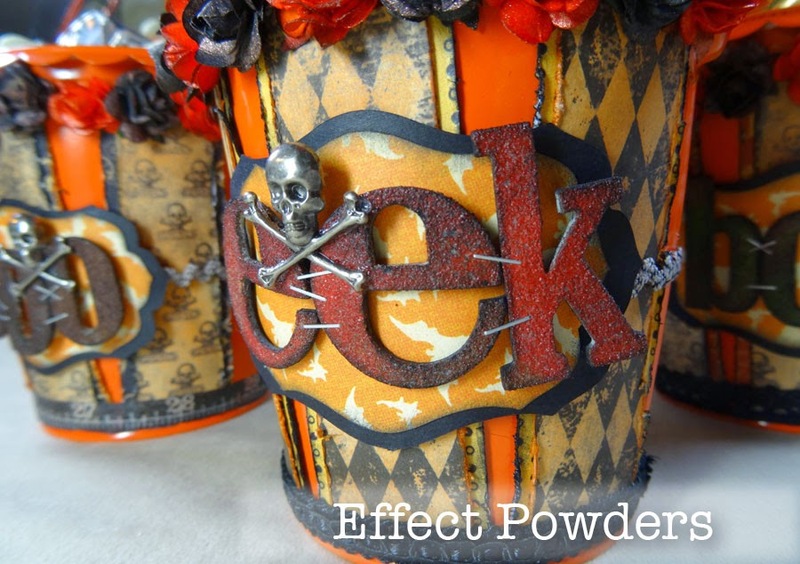 These were very fun to make and the Effect Powder technique was perfect for the words Boo and Eek on my buckets. Let me show you how these came together. I grabbed up these orange tin buckets last year at Target in their Dollar Spot. Don't you love the Dollar Spot? I stop there every time I go to Target. They have some great little things for us crazy crafters. These were perfect with those scalloped edges and orange color. I tucked them away until now. I have TONS of paper, so it was easy to grab some spooky prints. 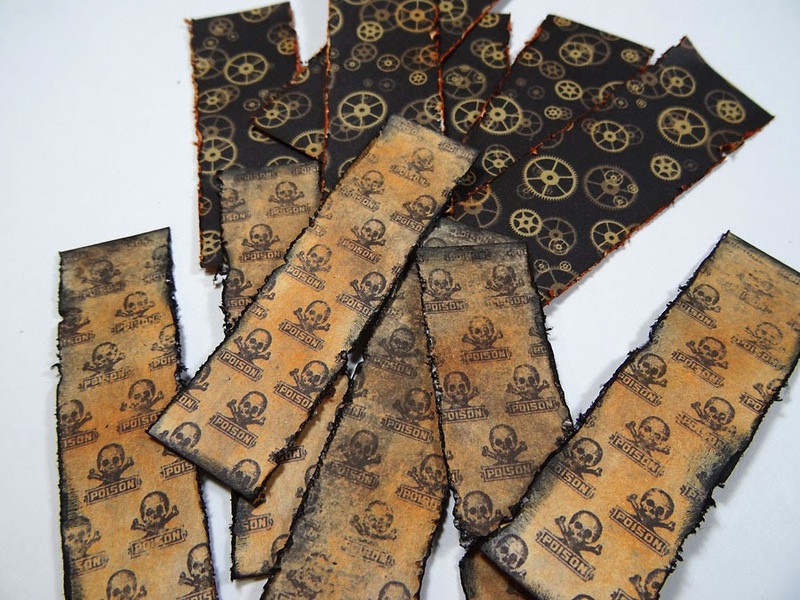 These are from Tim's Laboratorie paper stash and Graphic 4's5 Steampunk Spells. I cut strips, two different widths for each bucket. Sometimes I inked right over the top of the Laboratorie paper, sometimes not. I distressed the edges of ALL those pieces and then inked them. I adhered the narrower pieces to the wider pieces like this, then adhered them to the bucket using 1" wide Scor-Tape. Six per bucket worked well. 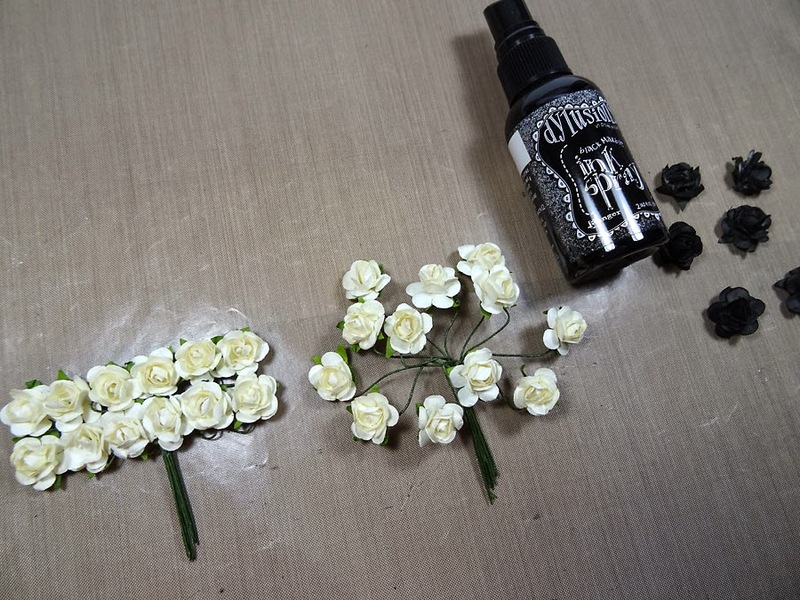 I sprayed some small ivory flowers with Black Marble Dylusions Spray. What great coverage this spray provides! I also sprayed some with Tangerine Dream. 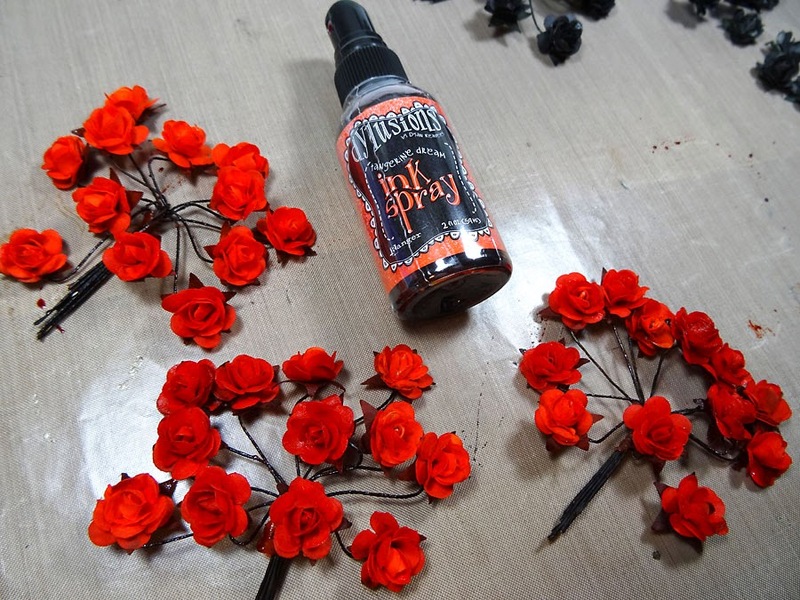 Nothing has as vibrant color as Dylusions sprays! After they dried, I spritzed them with Perfect Copper for a bit of eerie shimmer. I hot-glued the flowers around the top of the buckets. Then I adhered some tissue tape around the bottom on some, and ribbon on others. I like to make them each a little different. As for the Effect Powders technique, I can't share that with you. That's the whole point of these challenges. Get the book, try them out yourself and be amazed. 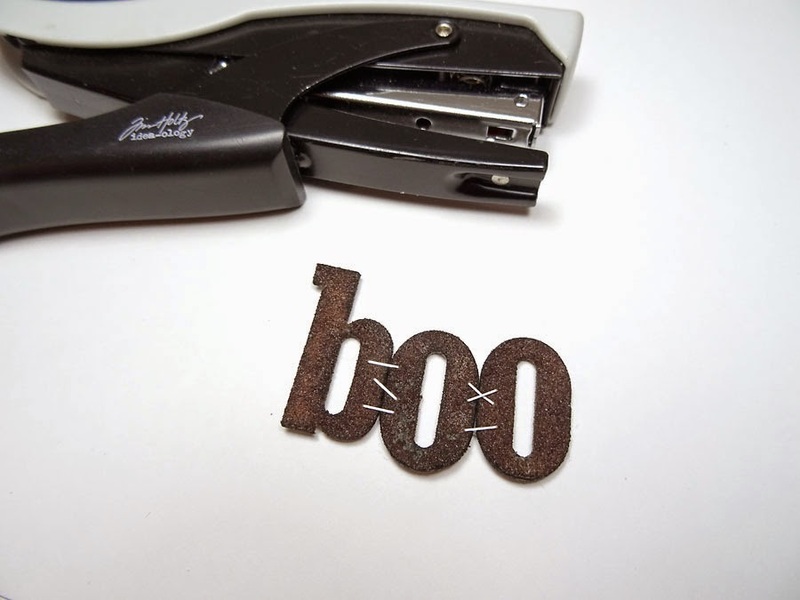 I cut the letters for Boo and Eek from the Sizzix Alterations XL die "Word Play" from grungeboard. I did the technique and then joined them with staples using my Tiny Attacher. Rather than just pop the words onto the buckets, I cut these layered labels on my Cricut machine. These came from the Art Philosophy cartridge. 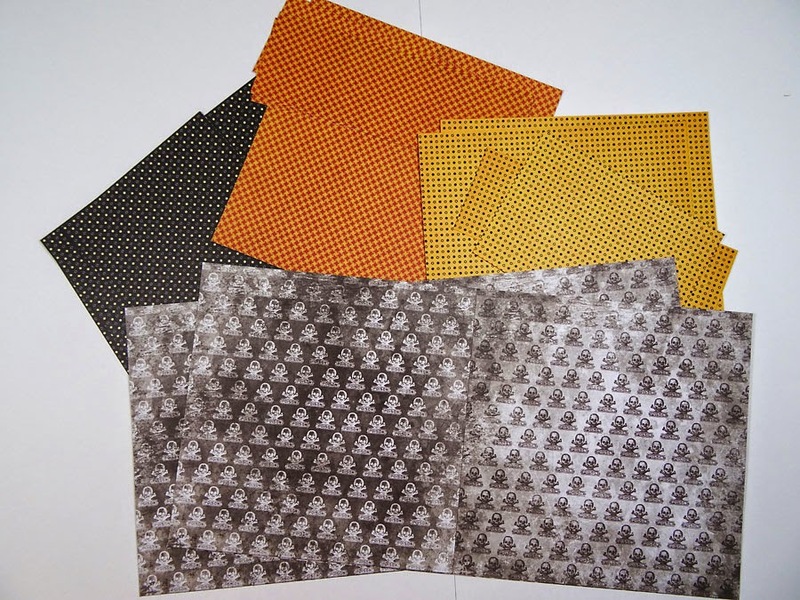 I used this fun bat print paper from Graphic 45's An Eerie Tale 6 x 6 Patterns and Solids pack. There's also a decorated ribbon that wraps around the bucket that you can't see in this photo. Then I popped my words on the labels using foam squares for dimension. 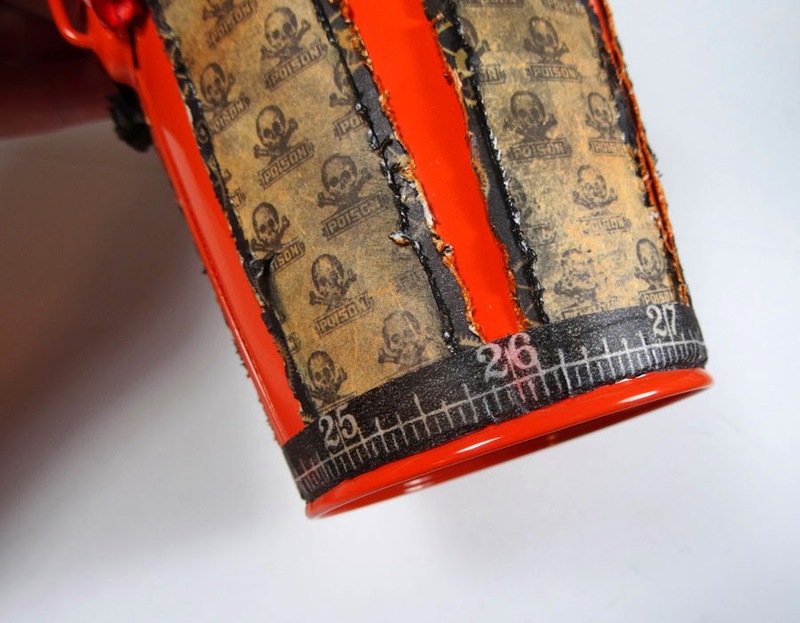 I added the skull and crossbones with some metal glue. I tried different colors and combinations when I did the technique. I loved the "effect" every time. To finish off my buckets, I tied big ribbons to the handles of each. One of my favorite, cool things to do is heat ribbon with my heat gun to force them to crinkle and curl. Makes them a little spooky. This heat gun technique works best on synthetic ribbons and should not be done near chocolate. (wink) Oh, and those bones mixed in there? Those are also a great find in the Target Dollar Spot last year. They're erasers! I hope you give this technique a try. It's one of those super easy ones with a very cool effect. We're working our way through this fantastic book of techniques and tips, and challenging you to join in the fun. This round's challenge is sponsored by the great folks at Inspiration Emporium who have a fabulous gift voucher to give away to one lucky random winner. Also, the Curiosity Crew's Choice scores a giant prize pack of goodies straight from Tim and Mario! And don't forget, you can find these great products I've used today at Inspiration Emporium's online store. 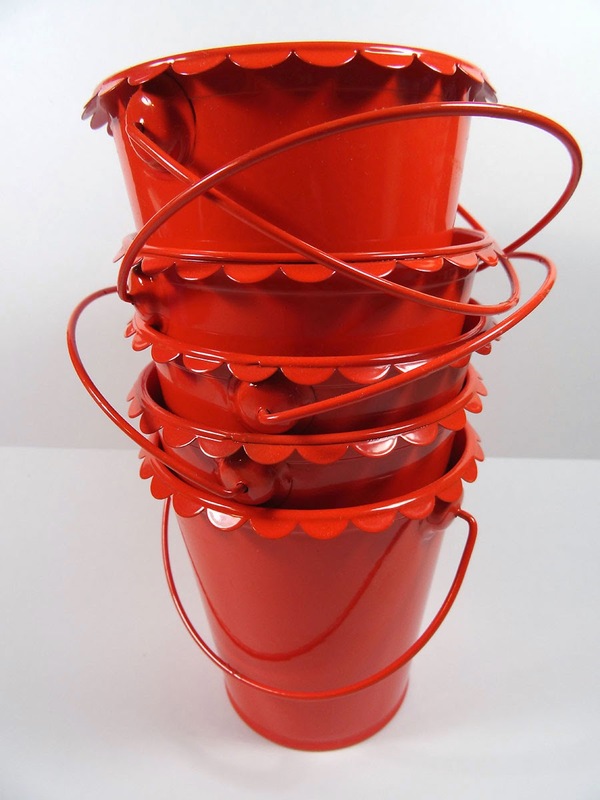 Love your altered buckets Annete, such a clever alteration with so many cool ideas! I bet they will be loved! I really like the idea of how you stapled the letters together, very clever!! What an awesome idea!!! 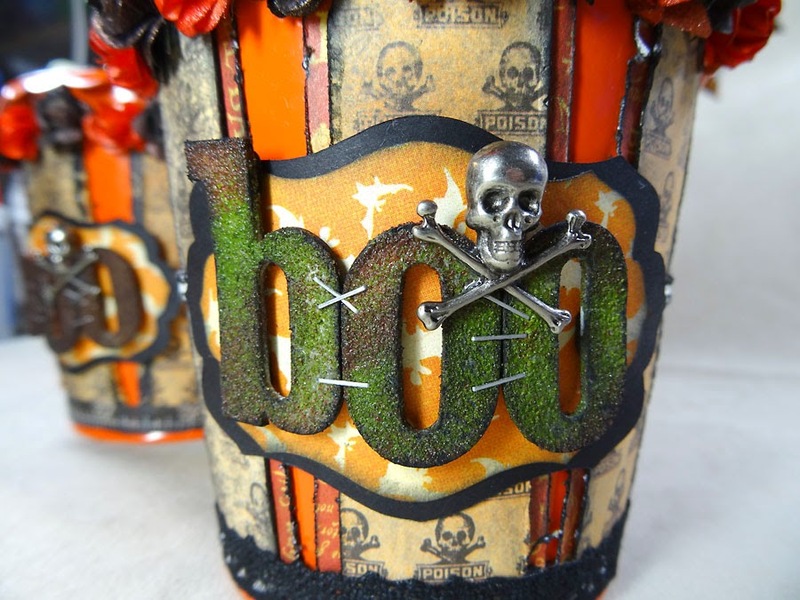 love the treat buckets.Love the rusty "boo" Inspired!! 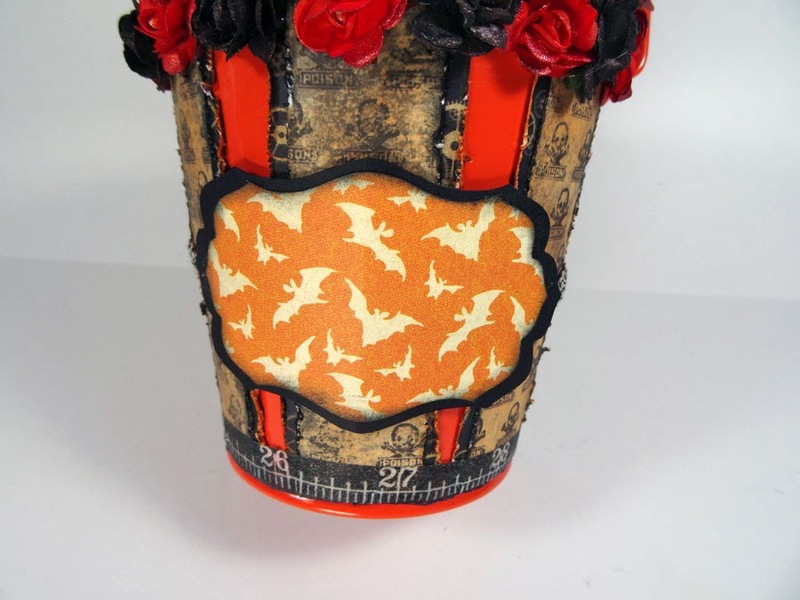 Such cute Halloween buckets - I am sure your daughter and her friends will love them. I LOVE making Halloween treat boxes and these are just the 'SPOOKIEST' Annette! How very cleverly you decorated these with the wonderful panels - died roses and wonderful distress embossed words! love the staples holding the letters together! So very cool!! I'm sure your DD and her friends will think so!! 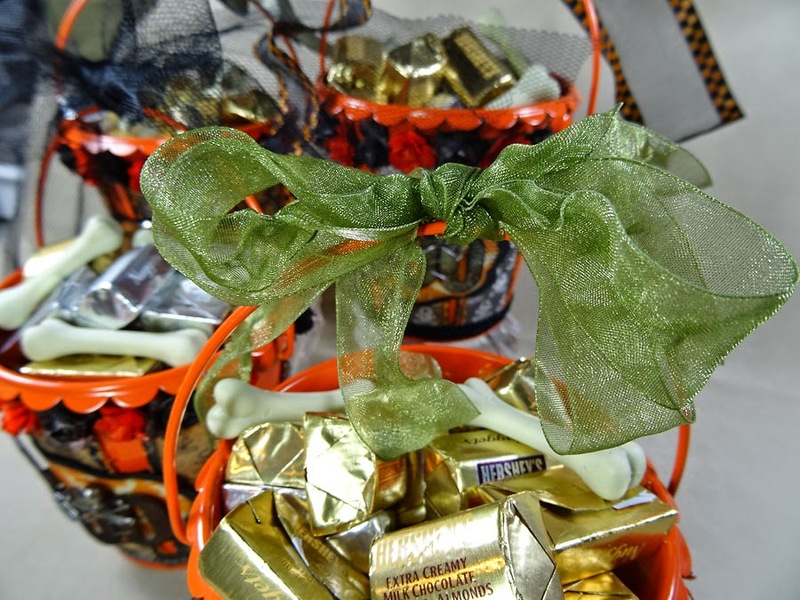 I have a feeling the girls are going to love these spooktacular treat buckets! 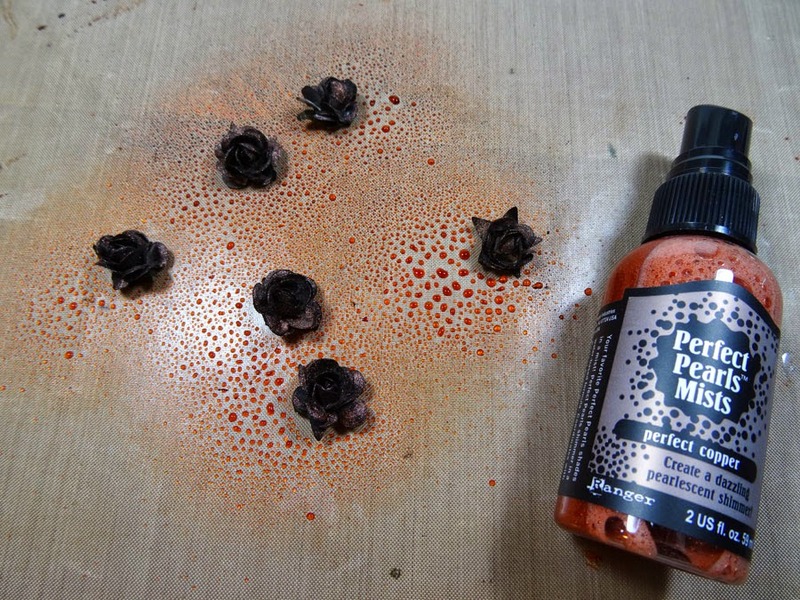 Those little roses in halloween colors and copper perfect pearls are the perfect touch and love your use of the Effect Powder technique on the BOOs and EEKs! What a great idea for the more 'advanced' trick-or-treater! My favorite part, aside from the luscious oranges and yellows, is the stapled letters featuring the technique. So perfect for your buckets! I'm sure anyone would love to get one of these cuties. So much fun, the same - yet different. A new personal favorite!!! Way to think outside the bucket!!! ;0) I totally am blown away by these Annette! All of them are fabulous!!! How fabulous are these?! The backing papers are beautiful, I love your treatment of the roses and the stapled letters was such a clever idea. I know a few young people in our family who would just adore one of these! So cute Annette, those buckets were a steal. TFS! That looked like so much fun!! I never think of embellishing buckets and things. It is awesome. Girly....this is the cutest dang bucket ever!!! I think all the buckets are going to be bought out to do this fun creation! Love it...so fun and what a great idea!!! Love the BOO!!! The kids will LOVE these! Very imaginative! How cool are these?!?!? Very! So practical yet so funky. Love 'em. Boy are you keepin' busy !! Trick or Treat ! 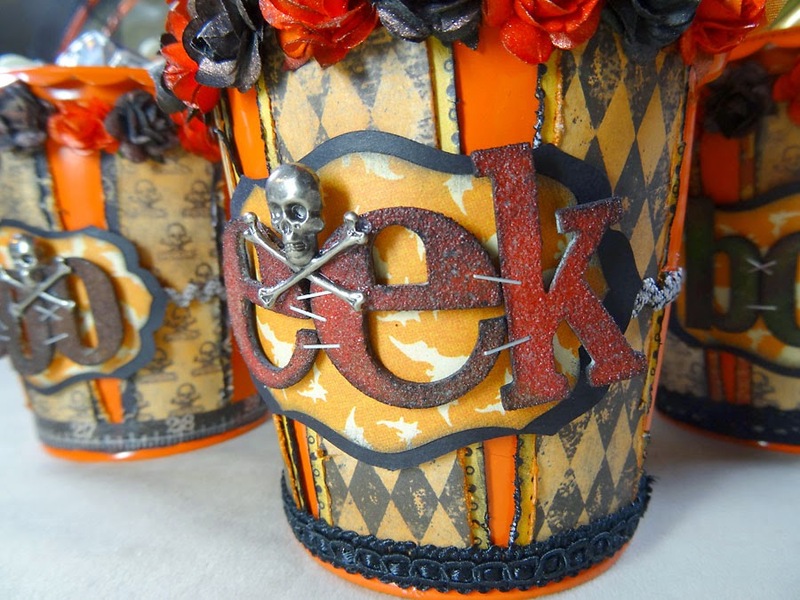 These buckets asre "spook-tacular" I love those paper prints ( got some of both of them ... so cool ) your lettering is fabulous ... effect powder just perfect. Annette! 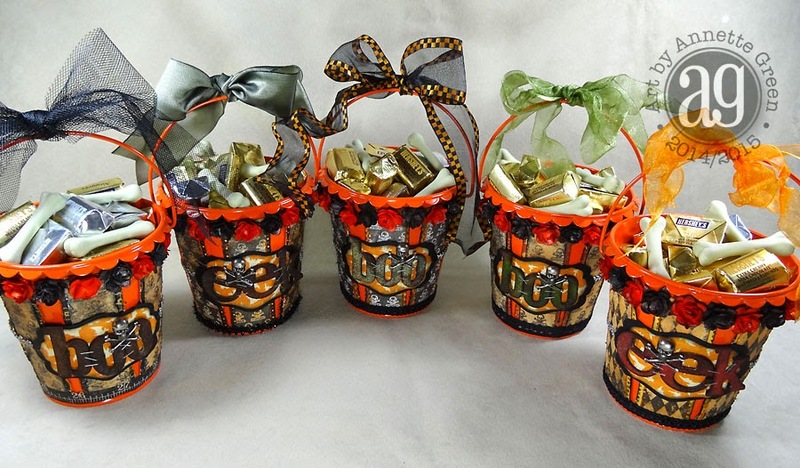 These Halloween treat buckets are adorable! Love the letters stapled together! Love the colors and they are all slightly unique! Love the shiny bucket with the rusty letters! Spectacular and fun! Thanks for the instructions! Love your projects! LOVE everything about these cute little treat cans BUT...I really LOVE the staples on the letters...GENIUS!!! 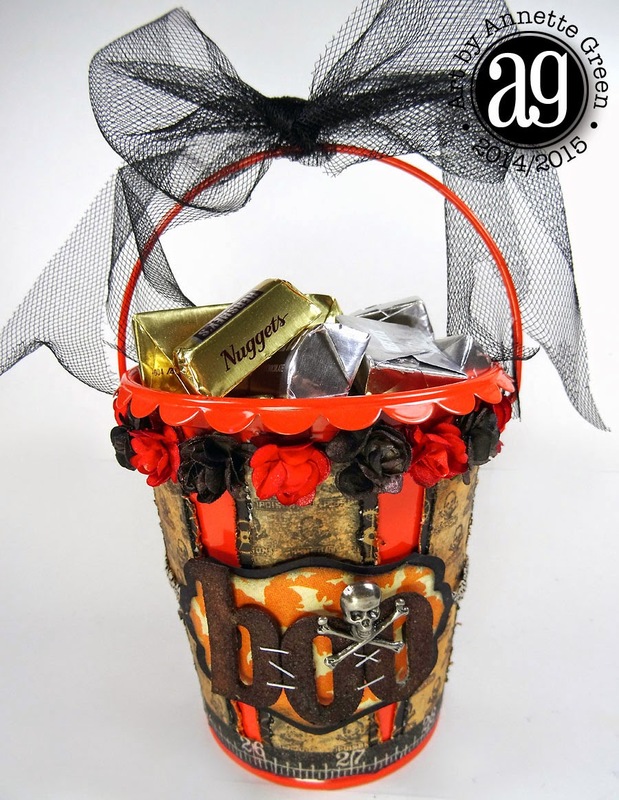 What a cute trick or treat bucket. I would steal this design from you, but alas, I have no more little children. Oh this is totally a fantastic Halloween "Trick or Treat" project! 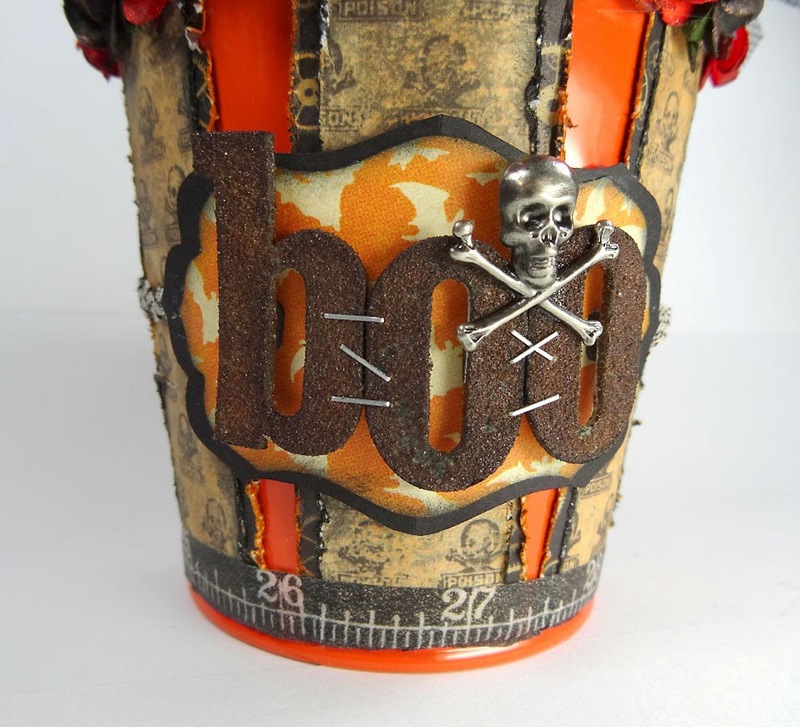 Annette, your altered buckets are absolutely spooky adorable. Love the way you stapled the letters together and then added the skull! This rocks! 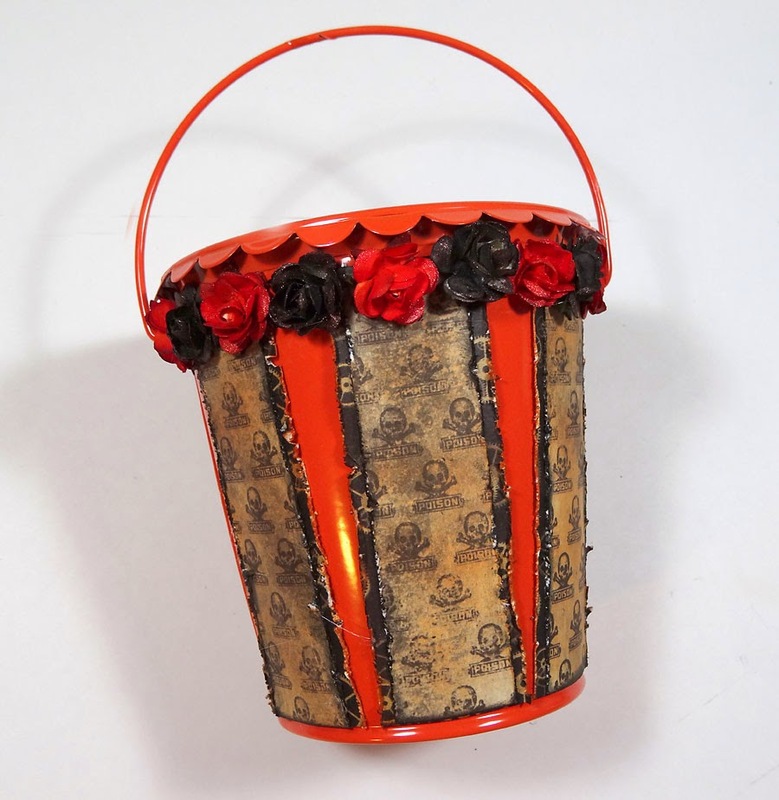 Anette love your Halloween Buckets! They are so clever! You did a marvelous job and love em so. Your buckets are fabulous! 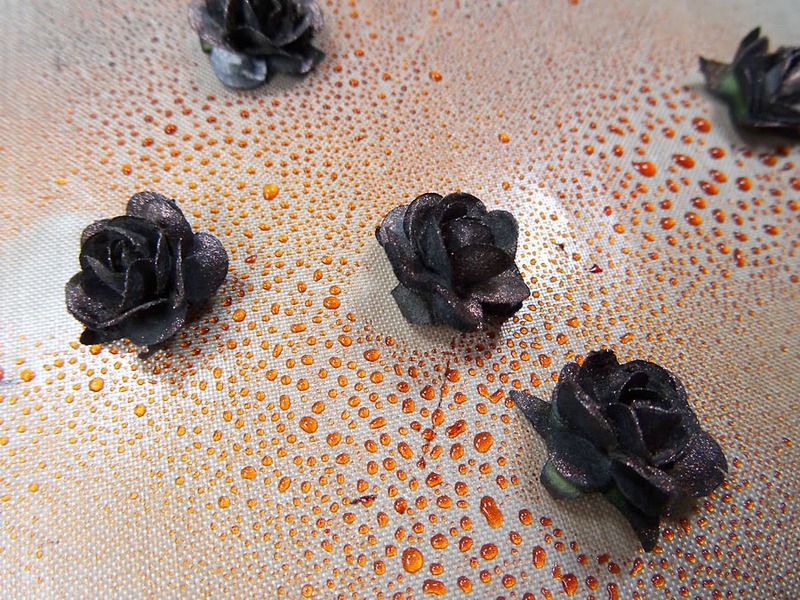 I love the roses; the copper over the black is a great effect. Your Daughter and friends will love them! How did you pick ONE to put on the blog? They are all too cute. I love the dollar spot also. It amazes the wonderful finds that exist! Beautiful work you did! Thanks for the inspiration, I think I will have to make one of these for my grandson! Such a fun idea for Halloween. Love them. I would've loved to Trick or Treat with a bucket like this!! WOW Annette! 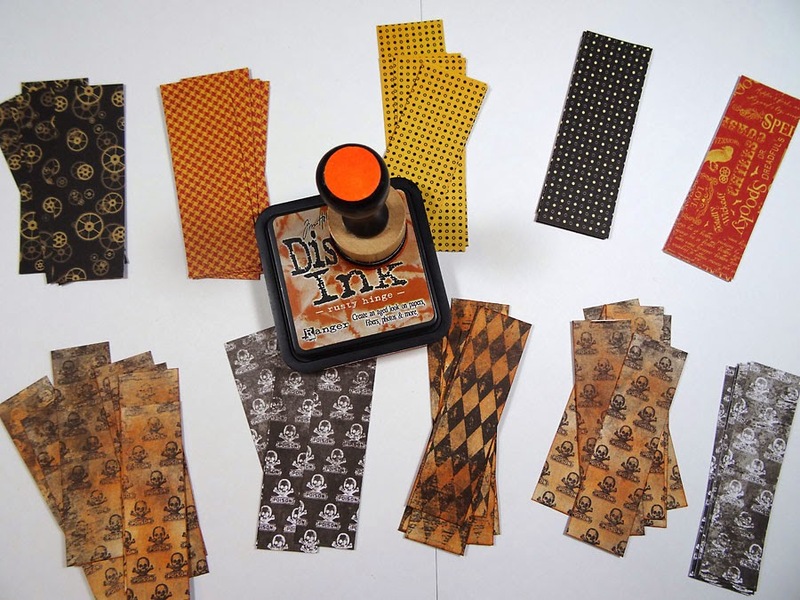 These are spectacular and they are so fun to look at (and drool over with all of the goodies inside) :) Love the Effect Powder sentiments in all of the Halloweeny colors! XOXO-Shari T.
Love your little buckets, they are so cute! Oh my goodness, I love these, they are so cool and what a great idea for the kids!! Your little dollar buckets are so cute, I almost missed that they are also loaded with chocolate! Great job on these adorable Halloween goodies. Love how your basket turned out so spooky and the distressed boo is just the right touch. Cool idea for all the little Halloweenfan's!! 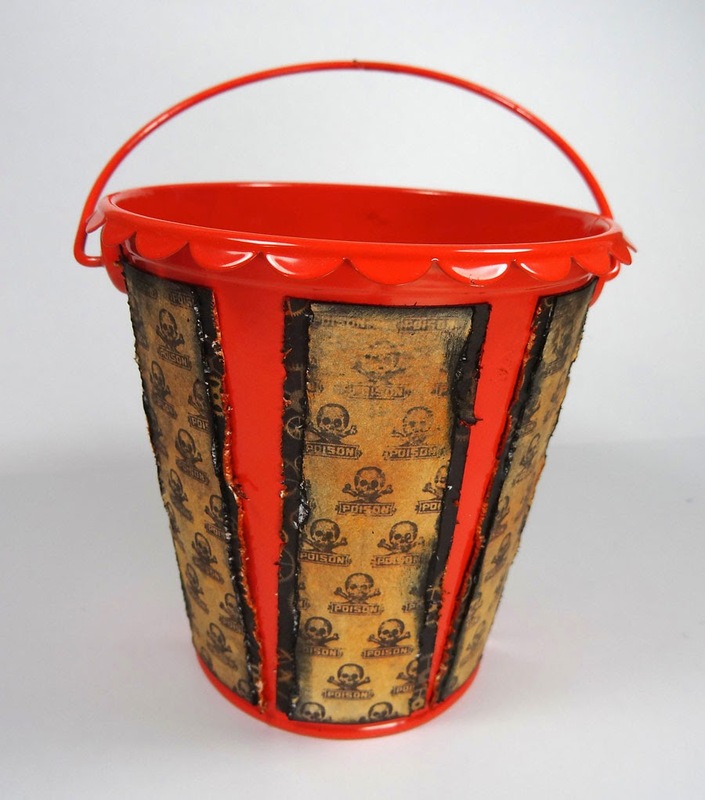 Any teenager would be happy to have one of these fab halloween buckets. Wow! Your candy buckets are wonderful. I love the papers you used, the dyed flowers, and the stapled textured "boo". I love how you used the tiny attacher to keep the letters together. The dollar spot is an amazing place. I love these Annette!!! Super way to give treats at Halloween and the letters look fabulous. 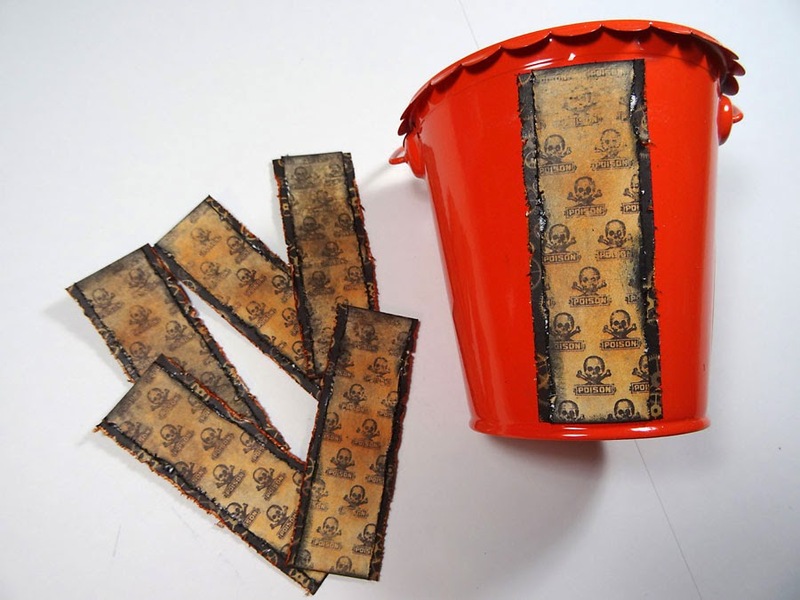 Great buckets for Halloween treats. Love the strip cut for the bucket and the boo label. What a cool design Annette! Thanks for sharing! This is SUCH a great project!! Think I'll make some buckets like these for the kids I babysit for! 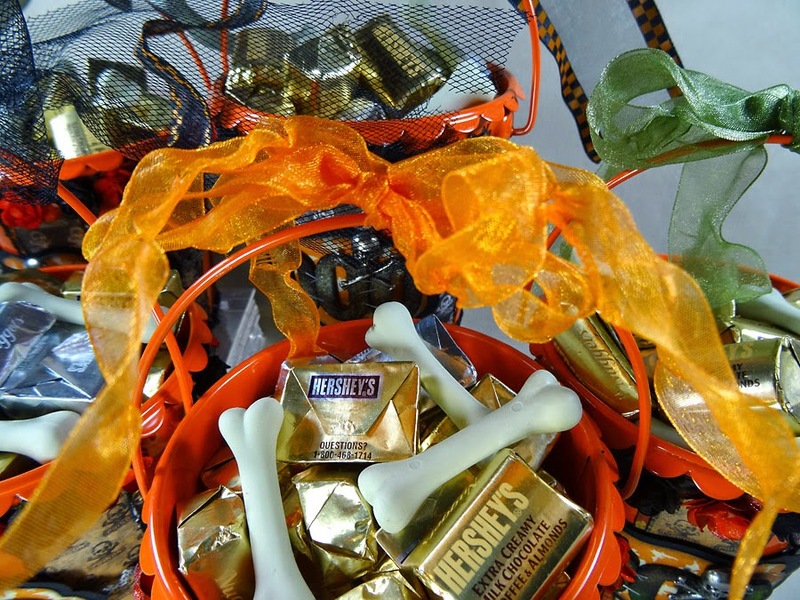 These treat buckets are so cool. Love the way you used this technique. 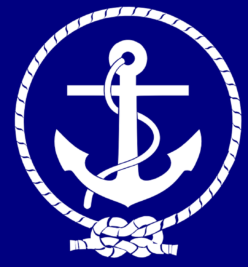 Fall Workshop 2014 - Join me! 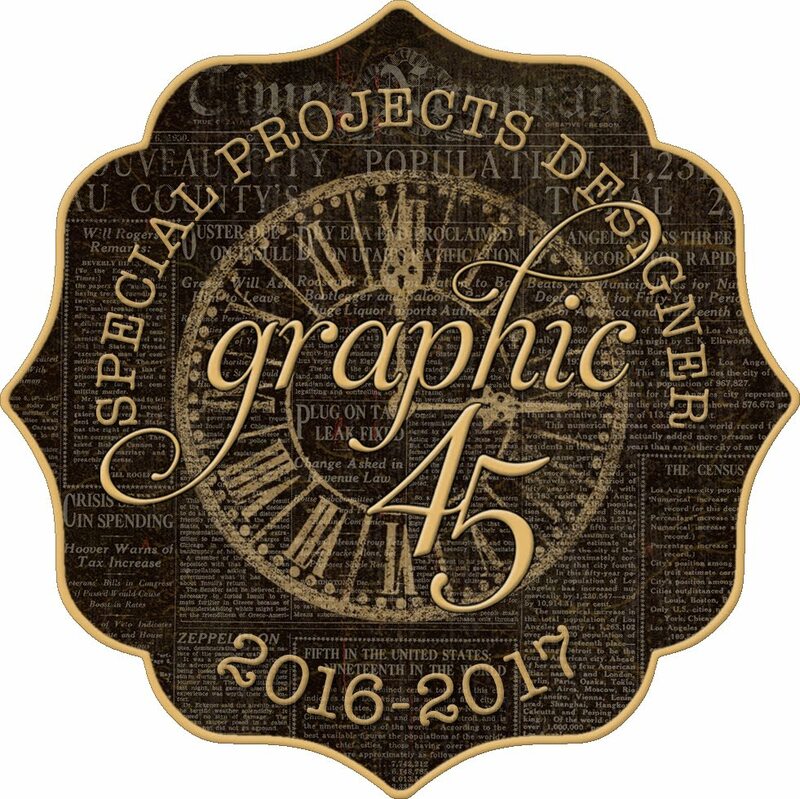 Petaloo & Graphic 45 Blog Hop starts today! Super Speedy Scrapbooking - Now that's my style!